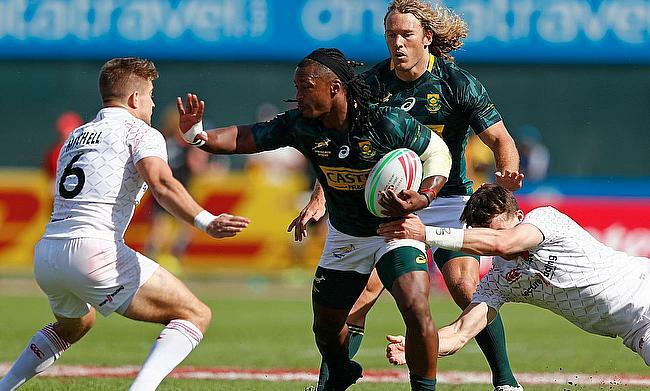 Blitzbok playmaker Rosko Specman said the result in the recently concluded Dubai 7s leg of the World Rugby Sevens Series has not affected the team's confidence as they head to Cape Town. South Africa got off to their worst start in five years when they lost the quarter-final to England with a 5-22 margin. As a result, the champions of the previous year had to battle with Scotland and Fiji and eventually managed a sixth place finish in the standings. “In some games such as against England [in the Dubai quarterfinal‚ which SA lost 22-5] ‚ we really battled to get our hands on the ball‚” Specman said. “England capitalised on the possession and when we defended for three minutes and won the ball‚ we just had no energy on attack when we had a chance. “If we’re faced with a similar scenario this weekend we have some ideas and I know the coach has been working on a good plan. Specman also believes the pressure will be more on New Zealand and USA - the winner and runner-up in the Dubai 7s respectively - to hold on to their places as the other teams look to bounce back. “Last week was a bad start to the campaign‚ but the coach said it could be something good if he learns from it‚” Blitzbok playmaker Rosko Specman said. “There will probably be less pressure on us this weekend because most of it will be on New Zealand and the US‚ who contested the final last week. South Africa have been grouped alongside New Zealand, Samoa and Zimbabwe in Pool 1 for the Cape Town 7s that will be played on 8th and 9th December.